You all know by now that I like creating scenes! You know, an entire little wold which the main character live in. It's fun, stretches my creativity but it can take a long time to create. Today I want to show you a way you can make a scene card in hardly any time and it will still be cute, fun to make and best of all fast! To create this card I decided to not create a huge scene on the entire card, but to make a much smaller one! I love the way this turned out! 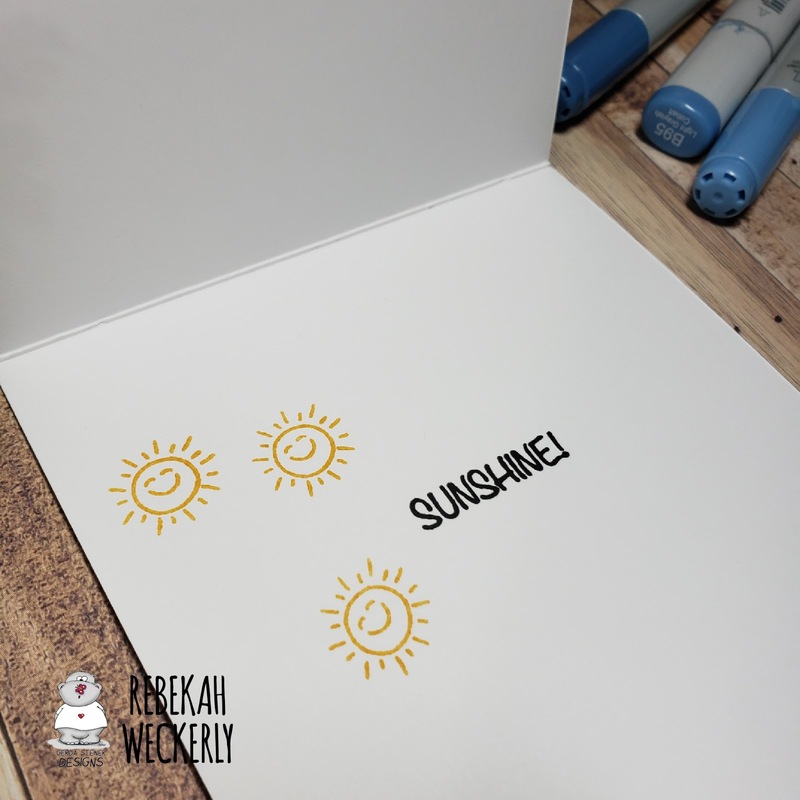 I used the stamp set Under the Weather for this card and creater the entire scene on a 3x4 piece of copic safe paper. This is not a super elaborate scene but it is just as effective and works so well for this sweet little mouse! First I stamped my image and colored him in with Copic Markers. I then masked off the top and drew in a little puddle for him to stand in. 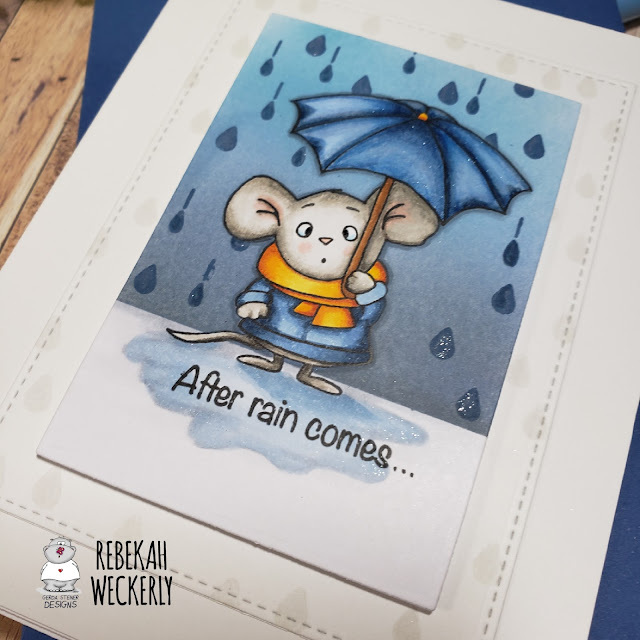 I then masked off the mouse and the bottom of the card and used Distress inks to create the background. 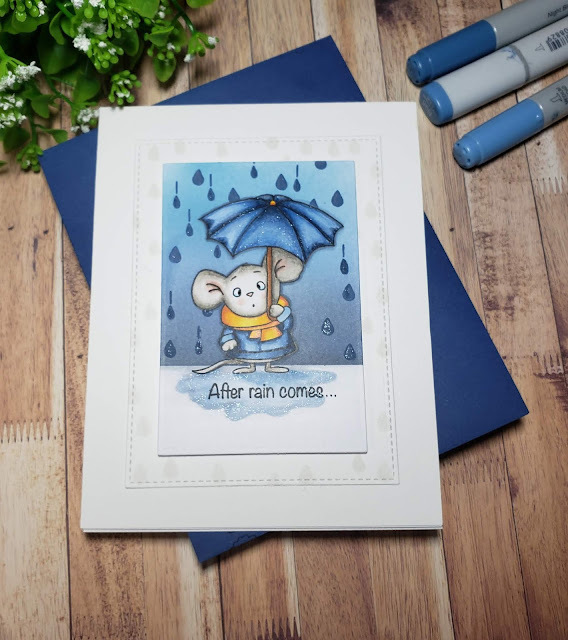 I used the smaller little raindrop stamps to help create the scene. After adding a few extra shadows and a little sparkle, I was done! A small but just as fun scene! I randomly stamped the drops all over the layer under my scene and I just love the way it looks! Its just the right amount of interest! Its fun to have a few hours to create and entire elaborate scene but it is not always practical! Rather the ditching the idea, just make your scene smaller! It works just as well! And here is how I finished off the inside! With sunshine!!! That little mouse I'd just too cute! Don't ya think?